There are many pizza restaurants in Slovenia. Not like in Indonesia, which the famous one is ‘PIZZA HUT’ with their different kind of toping and thick bread, here pizza is super thin and when you eat it with hand, you have to be super duper careful not to make it fall off 🙂 And of course most of toping is using pork meat which I don’t eat. So for that reason we mostly make our own pizza. My husband teached me how. Good thing we can easily find different kind of ready-use pizza sauce. After tried different kind of brands, we finally found the sauce that suited with our taste. 1. Prepare the dough : in a bowl mix the flour, yeast, salt then slowly pour the water and mix with your hands to form a dough. 2. Knead the dough briefly with your hands pushing and folding. Knead just long enough for the dough to take in a little more flour, and until it no longer sticks to your hands. Cover the dough with clean napkin for 30 minutes. 3. Make the pizza : On the work surface, using a rolling pin and your hands, shape one piece of dough into a thin round layer. Make a pizza about 12 inches in diameter. Using your fingertips, push the edge of the dough to make thick round. When the shape is done, pour a little olive oil over the dough, then add the sauce and some pinch of dried origano and spread over the dough. 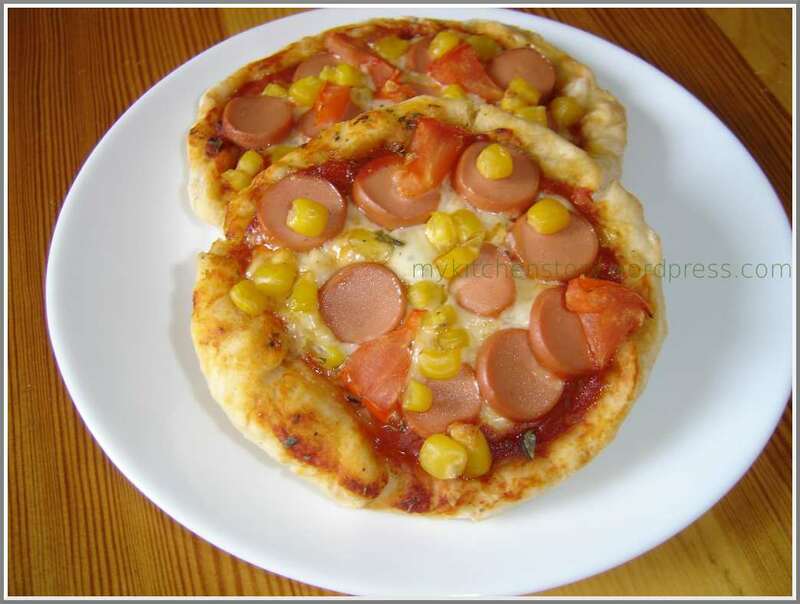 Then give the topping : cheese, chicken sausage then corn and tomato. 4. Bake the pizza in a regular oven at 180 C for about 20–25 minutes. 1. Heat oil in a wok and fry the chicken until turns golden. Then add the garlic, onion, red chillies and the ginger, stir fry for a moment. 2. 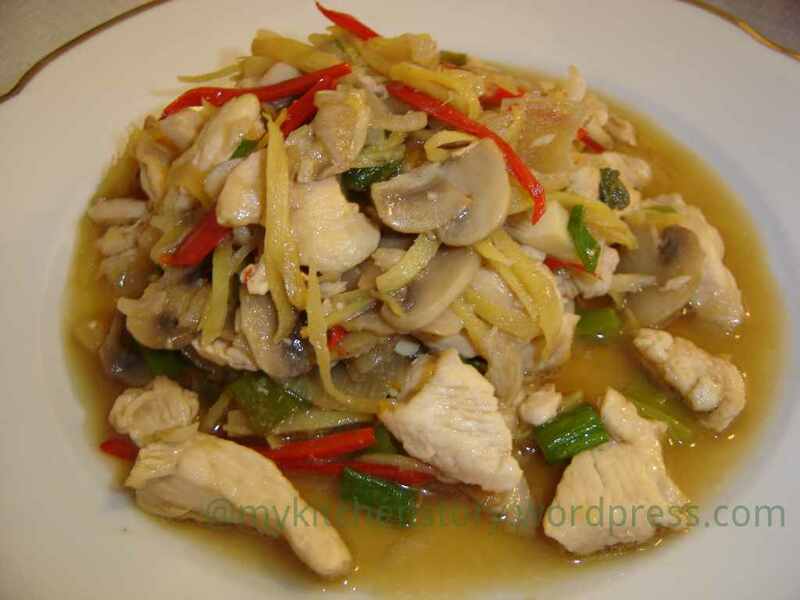 Add the mushroom, water , fish sauce, soy sauce and oyster sauce. When it’s boiling, add the spring onion, basil and coriander leaves. Cook until the chicken is cooked. 3. Serve with steamed rice.